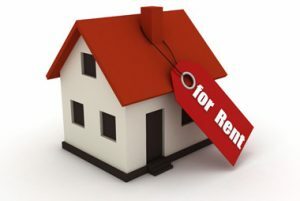 Leicester (3.02%), Nottingham (2.96%) and Northamptonshire (2.44%) were found to be hotspots for rental growth over the last 12 months, Landbay’s Rental Index has found. The index, powered by MIAC, also found the average rent for a property in England grew by 0.64% in the year to April. This is as falling rents in London (-0.27%) continued to weigh down on otherwise resilient rental growth in the rest of England (1.19%). John Goodall, chief executive and co-founder of Landbay, said: “Falling rents in some parts of the country, especially expensive prime London locations, distort the picture for the rest of England where rents are continuing to grow at a steady pace. “Britain will always need homes, and the growing cohort of people that can’t buy, or don’t want to, will more than ever rely on the private rental sector to house them in the years ahead. “Rental growth may not be what it used to be, but the pace of change varies wildly between regions. Prospective landlords need to be astute to maximise their profits, using variations in rental growth and yields over the past year to pick out some of the most promising regions for buy-to-let. And eight of the top 10 hotspots for rental growth were situated in either the East Midlands or East of England. These two regions, as well as the South West, continue to lead the way in terms of rental growth, with annual increases of 2.06%, 1.50%, and 1.54% respectively. Six London boroughs feature in the UK’s bottom 10 places for rent falling over the past year, including Kensington and Chelsea (-1.40%), Kingston upon Thames (-0.98%), Hammersmith and Fulham (-0.81%). Also Tower Hamlets (-0.79%), Barnet (-0.69%) and Harrow (-0.68%), and in total half of the London boroughs (17 out of 33) have seen rents fall year on year. Meanwhile, Bexley (1.37%), Havering (1.30%) and City of London (1.19%) have all seen rents rise by more than 1%, with just six boroughs exhibiting growth ahead of the 0.64% average in England. The average rent paid for a property in England now stands at £1,232, or £768 if you exclude London. The lowest average rent is found in the North East (£552), where rents have shown very modest long-term growth over the past five years, increasing by just 1.8% during this time. Despite a year-on-year increase of 0.26%, rents in the North East have been falling since the start of 2018. As Director of Risk and Analytics at MIAC Acadametrics Ltd I am required to call upon all my 14+ years experience as a risk professional in the financial services industry. My deep and varied knowledge gained through my exposure to the end-to-end risk management framework, and the completion of relevant qualifications, enables me to add value to our diverse clientele and the varied markets they operate within.